Edit design Football scarf hand in hand , or create your design from scratch. 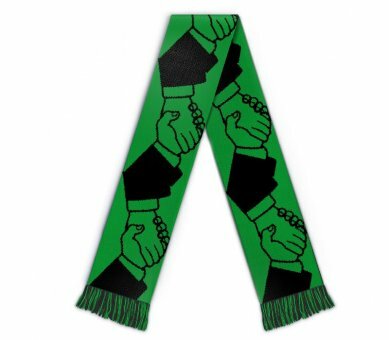 The hand in hand football scarf, made with love for your favourite team. Perfect merch for the next friedly or international game, custom made with your design, text, logo. Choose colors and create the scarf of your dreams.